Owning a home is a dream most Americans live for especially when it gives you the freedom to park your vehicles or store your keepsakes in your garage. Automatic garage door systems have come a long way since their inception, but as with any mechanical system they need maintenance to stay in top working order. 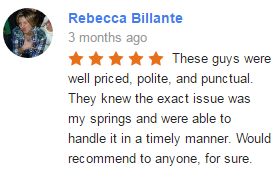 Our licensed and bonded professional garage door techs are here to answer your call when misfortune happens. Your garage door may have stopped opening, or it’s grown excessively louder than what it used to be. Do any of these scenarios sound familiar? 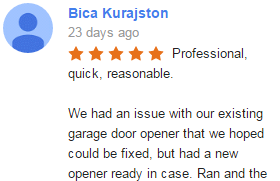 If so, you may need assistance from Garage Door & Gate Repair of Olympia Thurston County. With mobile technicians, we can come to your home in a matter of hours to assess and write up an estimate for garage door repairs. If you look at the sides of your garage door tracks, you’ll probably notice the large springs and pulley system above you. These crucial elements help distribute the weight of your door evenly so that it doesn’t slam down or burn out the motor prematurely. Because of the tension and stress that these parts operate under, it is always recommended to call the professionals to handle any repairs. Our experience and specialized tools allow us to safely remove your springs so that we can install new ones to keep your system operating correctly. Your opener is the primary mechanism at the center of your automatic garage door, and with no shortage of moving parts, it’s vital to keep it maintained and lubricated regularly. Sometimes, if your door won’t open it could either be debris blocking the track or something wrong with the motor. Whatever the issue, we’ll inspect all vital parts and diagnose the problem for a more accurate diagnosis. Our techs can repair most major brands of the opener on the spot, but if your model is too old or damaged it might be more cost effective to purchase a new one. 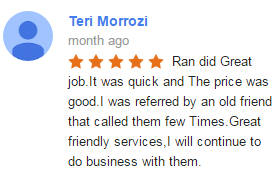 Fortunately for you, we carry all major brands and can usually install them the same day. Style and functionality can co-exist especially when you install a full custom garage door. With a wide range of materials from wood, aluminum, steel, and glass to choose from, you can give your home an upscale and ultra modern look that will surely turn heads and increase your home’s aesthetic and resale value. As the name implies, each installation is custom made to your garage’s specifications and will take longer than a day to install, but the final product will add a touch of class and appeal that you won’t be able to find in regular metal garage doors. 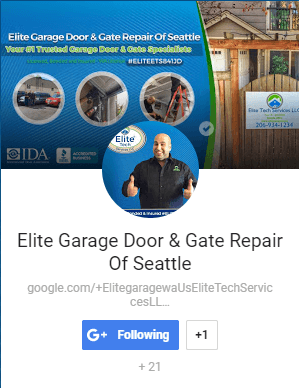 Garage Door and Gate Repair of Olympia Thurston County offers a full 90 warranty on labor and a two-year warranty on parts. If you’re unsatisfied with our artistry or experience a faulty mechanism, give us a call right away, and we’ll happily correct the issue until you’re completely satisfied.